Best camo/colour that goes with black gear? Looking to buy a new pair of trousers and a shirt. I was wondering what is the best colour that will go with my black chest rig, gun and sling. I like the look of flecktarn but just wanted to opinions before I buy. You could still use solid colours. The Navy digital blue looks okay with it. I use olive drab kit with my black rig, but it doesnt really matter. Thankfully there is no camo police. Best for what? Best for looking l33t? All black. Best for camo? Black doesn't really work. Grey is in vogue. 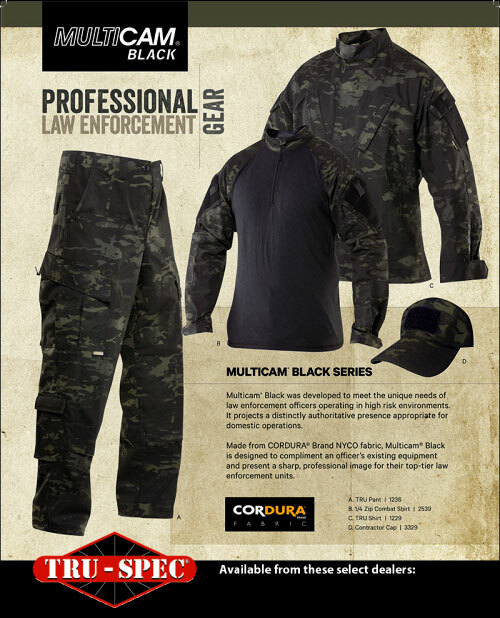 Black crye style pants, grey top / soft shell and black pc is an impressive intimidating look, but no good for camour. But then at airsoft ranges no camo is good camo. Thanks for the replys guys. Really useful thread linked there Sacarathe. Do you have any advice for websites to buy from? Anyone got any experience with military first? Yes Ive bought a lot of kit from Military 1st. Can't fault them. Thankfully there is no camo police. Maybe there is, but we just can't see them in *their* camo! Seriously though, go with what you like the look of. I use DPM & Black Vest. But that's mainly because DPM is cheap. Fleck and Black does look pretty good though. I tend to use Flecktarn.co.uk for a lot of my gear. Never had any issues with them. Military 1st, go for it, always order from them unless they dont have my size then i got to Poland and e-military or some other site, but mainly as i buy helikon stuff ....plus at mil 1st you get a pack of gummy bears with your order!! Will buy from military1st. Just trying to decide between Tiger Stripe and M84 as Flecktarn is a bit more expensive. Best colour and camo to go with black is black multicam. Theres 15% off some categories on Military 1st if you order before midnight. Thought it was 14% today??? It says 15% on Facebook and when you click the link to their website it says 14%. Yeah just spotted the 14% off at military 1st. Gonna buy a few things from them tonight. Trying to decide between between digital woodland and tiger stripe. Would just like to say thanks for all the suggestions guys, bought a pair of trousers, a shirt and a multifunctional headgear in digital woodland from military first. Will post a pic on this thread of what they look like with the chest rig when it arrives just help out anyone else who is in the situation I was in. What make if digital woodland in the end! Bought a shirt, trousers and snood. Came to £45 which was then £38 after the Valentine's Day discount.